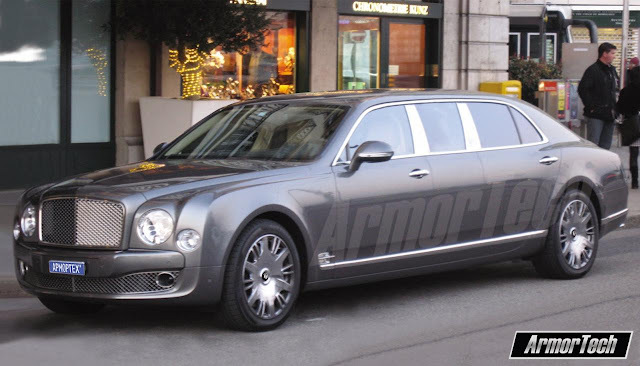 ArmorTech Motors will make you a limosuine version of the Mulsanne if Bentley Mulliner is taking too long to release an extended wheel base option. Here is a rendering of a possibility. They have actually thought about the different variations of limousines that could be produced, not just the stretch in the middle American style. There are many options including "extensions from +500mm to +1150mm with different versions of stretching. 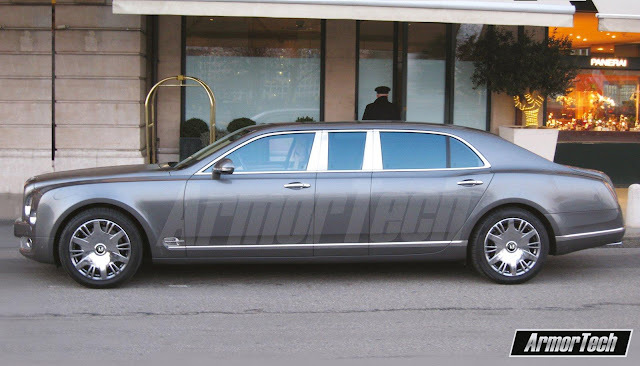 The limousine could be stretched to 500mm in the middle either in front (+250mm) and rear (+250mm) doors. Extending the car to +1150mm could be done in the middle. 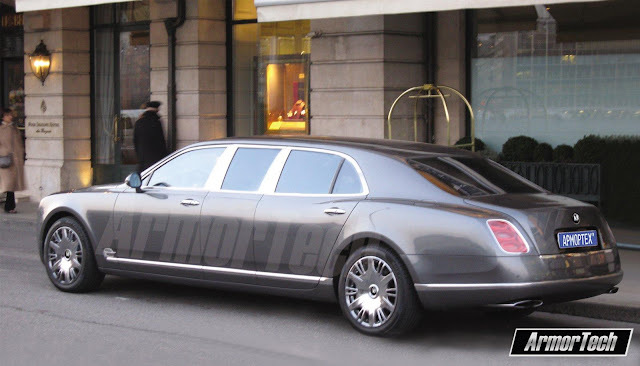 There is also an option of raising the roof height up to +100mm for all stretched limousines based on Bentley Mulsanne." I'm sure Jankel will also have an option list out soon as well. It all sounds quite nice. You can get them bullet proof of course. Now, I wonder which Russian will be the first to commission one? If you want one, order one here.